Aquarians will not leave a single stone unturned to achieve their goals. The quiet rebels of the zodiac love to challenge rules but will it work to your favor this year? Defy the standard norms if you wish but make sure you secure your future by planning ahead. A good strategy will ensure that your brilliant plans will come to fruition. 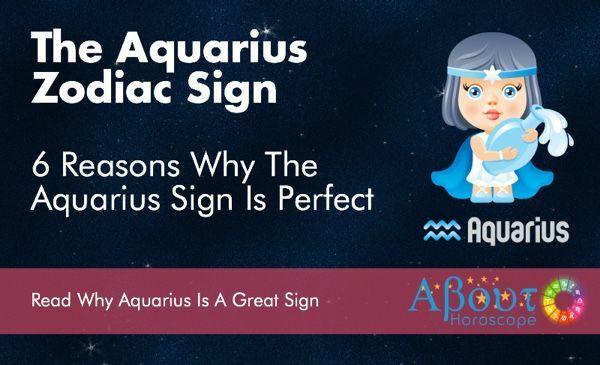 So let Aquarius Horoscope 2017 guide you in your quest for success. Good news! Aquarius Horoscope Predictions shows that the stars will favor you in 2017. Take advantage of this lucky cycle and get ready for an exciting year. I know that you crave success as much as the other signs but question is, have you set your goals for 2017 already? Do you have a clear idea where you are heading? Start the year right by creating a vision of how you want your year to turn out. Map out a plan to turn your vision into reality. Resolve to stay on course all throughout the year. Brace yourself water bearers for a very hectic but rewarding 2017. Best of luck! Single Aquarians will have an exciting social life in 2017. However, your career plans will prevent you from getting serious with someone you like. Male Water bearers will not let love interfere with their ambitions this year. While the ladies will likely give love a chance. After all, they are better in handling their emotions and finding balance between work and love. Attached Aquarians will face relationship challenges this year. Since your career will take center stage in 2017, you might neglect the needs of your partner. Confrontations turn you off and when issues are not resolved your relationship will be compromised. If your partner can no longer adjust toyour unconventional ways then both of you will have to make a choice sooner or later. Your career will undergo a major face lift this year. Aquarius career forecast shows that advancement, relocation or a new job offer will possibly happen in 2017.
Business owners will be able to push through with plans that have been put on hold in 2016. Contracts will be finalized and partnerships will be forged. Aquarians will be in awe with the favors they will get from the universe. To your delight and surprise things will unfold as you envisioned. You will have to pinch yourself to be certain if it’s all real. Aquarians who have careers in the field of Science and Technology will do really well. Promotion and recognition that have eluded you in the past will come to you in 2017. However, the universe’s blessings must be coupled with a change of attitude for things to fall into place. Tone down your unpredictability and try to have a more disciplined approach to work. Going against the tide all the time will put you in a bad light. Aquarians who are still in school will excel when they focus more on getting things done. You will have an insatiable thirst for knowledge and will even pursue higher studies after graduation. Professionals and entrepreneurs will take up courses to further hone their skills and stay abreast with business trends and advances in Technology. 2017 will be hectic, so make sure that you will always be mentally and physically fit to be able to cope. Start the year right by getting into a fitness program that you are comfortable with. Yoga suits Aquarians really well. Sign up for classes as soon as the year starts. Resolve to be fit in 2017 so you won’t miss out on the opportunities this year brings. Get enough sleep and avoid alcohol. Stress will be your number one adversary in 2017, so opt for a healthier lifestyle.Find time to unwind when your stress level hits the roof. Money luck is in your charts this year. Career advancement and business expansion will increase your earnings. Investments in stocks and real estate will also be profitable during the second quarter of the year. Money will also flow from unexpected sources like for instance, cash you lent will be paid back when you least expect it. That being said, you must resolve to be more prudent with your earnings. Aquarians are big spenders and generous to a fault. Create a financial plan at the start of the year and follow it to a tee. This will ensure that your earnings in 2017 will be used to secure your future. January–Venus enters your sphere making you gooey eyes with love. Single Aquarians will search and mingle. Go ahead and go for a makeover to impress the one who interests you. Attached Aquarians will be more affectionate and emotional. Do not let jealousy get the better of you this month. February–This period is favorable to sign contracts or close deals. Money borrowed from you may be settled in full. Travel is in your charts. You may receive an overseas job offer or a vacation incentive. Your social life will be in full swing. Go out and have fun. You deserve a break from the grind. March – Buckle up for sudden twists and turns. You will face opposing forces at work. Keep your cool and learn to view things from a different perspective. Just when you thought the odds are all against you, opportunities will knock on your door midmonth. This is a month of new beginnings in your love life and career. April – Time to hit the gym to get back in shape. Stress from work plus your active social life sneaked in extra pounds. Eat right and find ways to relieve stress. Curb your tendency to be overly generous and extravagant. Generosity is admirable but be more prudent so you won’t be left with nothing. May – This month will be hectic for Aquarians. Stay focused and avoid clashing with your seniors or people who work for you. Attached Aquarians will be tested this month. Your feelings may waver but don’t make rash decisions. Wait for this period of uncertainty to pass. June–Study investment offers or business proposals really well. This period is not favorable for signing contracts or getting into new ventures so it will be best to postpone till August. Single Aquarians will meet someone new or from the past. This person will make your heart skip a beat and play a significant role in your life. July–Pace slows down a bit this month. Take this opportunity to unwind. Your energy levels will fluctuate so take a break to recharge. Conflicts may arise at the domestic front where tempers will flare up due to miscommunication. When you are stressed out, you have the tendency to be emotionally detached. Loved ones may get the impression that you care less. August – Out with the old In with the new. You will get into spring cleaning mode. Do away with the clutter as this will have a positive effect on your psyche. Your home will be your sanctuary this month. At the love front, some relationships are destined to end. September–Your humanitarian side will be highlighted this month. You may receive recognition for your involvement in charity works in the past. Money luck dips this month. Purchase only what you need and for those in business, adopt cost cutting measures. October–Positive developments will take place at the career front. Promotions, increase in pay and new business prospects are in the works. Those who have filtered out their resumes will receive job offers midmonth. With regard to money matters, there will be improvement in your finances this month. November – There will be lots of drama in your life during the first two weeks. It is your turn to be more understanding of the people close to you. They may undergo personal crisis so be supportive. The air will clear midmonth and you will be able to breathe a sigh of relief. You will receive cash incentive or business profits will double at month’s end. December – Some Aquarians may opt to leave the corporate world to start their own business or freelance. This will give them freedom to work as they please. You have plenty of reasons to celebrate this season. Do not forget to show gratitude to the ones who helped you achieve success. At month’s end, a pleasant surprise awaits Single Aquarians searching for love. 2017 has a lot of surprises in store for the most unique sign of the Zodiac. It will be unpredictably good and that’s just how you like it. Take advantage of every opportunity that comes your way. It’s time to awaken the sleeping giant in you. Resolve to adopt a more disciplined approach in all areas of your life. If you have set your sights on climbing the corporate ladder, learn to comply with the rules. Always consider the consequences of your actions. You are not working or living in isolation so be mindful of the effects of your decisions and behavior on others.